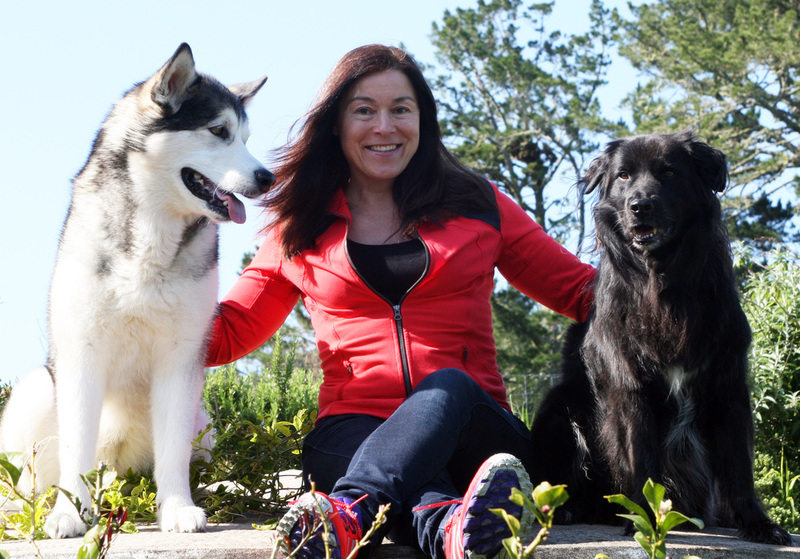 Experienced dog trainer and animal behavior consultant. Reward-based methods. Check out my experience, mission, and training methods. I understand that your dog is a much loved member of the family and that you need to make sure I will treat your dog with great care and respect. Find out about my force-free training philosophy, my training and behaviour experience, and how I further my knowledge continuously through professional development. Raising and training my own dogs including competed in obedience, qualified in Canine Good Citizen, Dog Shows, raced a two-dog team on scooter. Books and DVD: I regularly read books and watch DVDs about all aspects of dog training/animal behaviour. I support the work of the SPCA and Ruakaka Dog Rescue through providing discounted services and networking. My principle is "First do no harm" - using the least intrusive method available (LIMA). I'm a passionate advocate for modern science-based dog training methods using positive reinforcement. Using rewards such as treats or toys works extremely well. Your dog learns fast and will be keen and happy to do what you want him to do. I want to help you build a great relationship with your dog and for your dog to be well behaved because he wants to not because he’s afraid of the consequences if he doesn’t. I am a vocal opponent of aversive, dominance-based training techniques, which may result in 'quick fixes' but I believe will ultimately cause more long-term harm than good while damaging the owner-dog relationship. My first step in behaviour consultations is usually looking at ways we can set up the environment to prevent the dog from rehearsing the unwanted behaviour in the first place. Then we can identify what we want the dog to do instead, and train and reinforce the alternative behaviour. Animals, especially dogs, have been my passion for most of my life. For many years, while working in my ‘official’ career of Public Relations and Web Communications, I kept my connection with dogs through training my own dogs, volunteering at the SPCA and local dog training clubs, and helping other dog owners with training and behaviour advice. In 2013, my friend and fellow dog trainer Bev Binney and I decided it was about time that we took our passion to the next level and Happy Tails Dog Training was born. Our aim was always to promote force-free training methods and to make a difference so that fewer dogs are rehomed or left at shelters. Puppy classes started around springtime 2014. Other services such as group classes including nose work and one-on-one training and behaviour consultations were introduced shortly after. At the same time, I took the plunge and made Happy Tails Dog Training my new full time career working as a dog trainer and animal behaviour consultant. Bev left Happy Tails Dog Training in April 2017 to move to another region. I am now the sole operator of Happy Tails Dog Training and I’m gradually increasing the services my business offers, including branching out to help other species such as horses, cats and birds. I can relate to you as I’ve learnt many lessons about raising puppies and living with dogs the hard way, and I made mistakes along the way. I’m passionate about teaching reward-based training so people can enjoy a great relationship with their dog. I deeply care about all animals. I'm an active supporter of animal welfare and rescue organisations such as SPCA, WWF, SAFE, and HUHA, and Greenpeace. My partner and I currently live with Frankie, a Border Collie cross boy and Moko, an Alaskan Malamute girl.